California is no stranger to wildfires, but this year has been tougher than most. October saw over $9 billion in damage to Northern California as fire raged over 245,000 acres, and this month’s wildfires in Southern California are keeping pace. As of today, over 181,000 acres have been consumed, with over 210,000 residents forced from their homes. 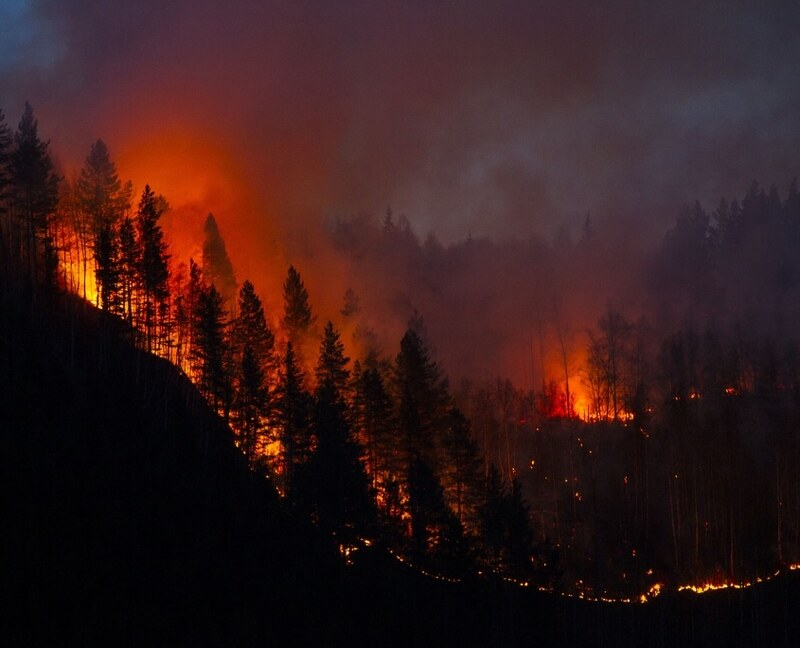 A state of emergency was recently declared for the entire state, and the fire is now considered the fifth worst in the state’s history. And as is the case in nearly all emergencies, nurses are at the center of the chaos—treating existing patients and new fire victims even as flames threaten their own homes and hospitals. Nurses such as Julayne Smithson, a 55-year old ICU nurse in Santa Rosa, who was working the overnight shift when the fires arrived. Julayne was so busy with her patients that she’d paid little attention to the fire’s location, and was completely caught off guard by how close the flames had gotten. “One of the nurses came up to me and she said, ‘Julayne, I’m sorry, but your house is not going to make it,'” Julayne recounts. She’d only purchased the house in the past weeks, and hadn’t finalized the insurance arrangements yet. With only minutes to spare, Julayne rushed home to save what she could. Faced with a crucial decision, she ultimately decided to save those few things with which she could make the biggest difference: her nursing supplies. She escaped with her scrubs, her nursing documents, and a nightgown. A short time later, she was back at work in the ICU as her neighborhood burned. But the fire wasn’t finished with her yet. Two hours later, the fire suddenly changed direction, and the hospital was ordered to evacuate. But even the hospitals untouched by fires have been impacted. 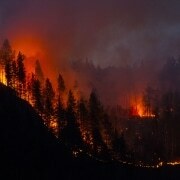 Doctors and nurses across the area have not only taken responsibility for evacuated patients, but have seen a significant number of fire-related injuries and conditions come through their doors as well—particularly asthma and other lung or breathing problems caused by smoke and air pollution. Air purifiers and “closed door” policies are now in place at many hospitals, in an attempt to keep the air inside as pure as possible, and the evolving situation has caused staff shortages in some areas. One hospital was even forced to rely on generator power after the fires caused blackouts. “Santa Paula Hospital, which is just miles from the original start point for the Thomas fire, remained opened throughout the evolving disaster, in large part due to the courage and coordination of the hospital staff and efforts of fire rescuers from state, county and local battalions,” said spokesperson Sheila Murphy. Another hospital, Vista Del Mar Psychiatric, wasn’t so lucky. While the patients and employees were unharmed, the wildfire completely destroyed the building. It’s a frightening situation for all involved, but as in all difficult times, local doctors and nurses have proven again that they don’t give up without a fight. And if you’d like to help in that fight (and in the recovery), there are many ways to do so. One way is by donating to the local Red Cross (you can find more information here) or by volunteering to help the Red Cross with relief efforts (by clicking here). But be careful… multiple scams have already surfaced seeking to intercept donations before they reach victims. The Ventura sheriff recently addressed the issue, and has a very helpful list of tips for avoiding criminals here. If you’d like more information on beginning your own career as a nurse or medical assistant, contact Unitek College today. 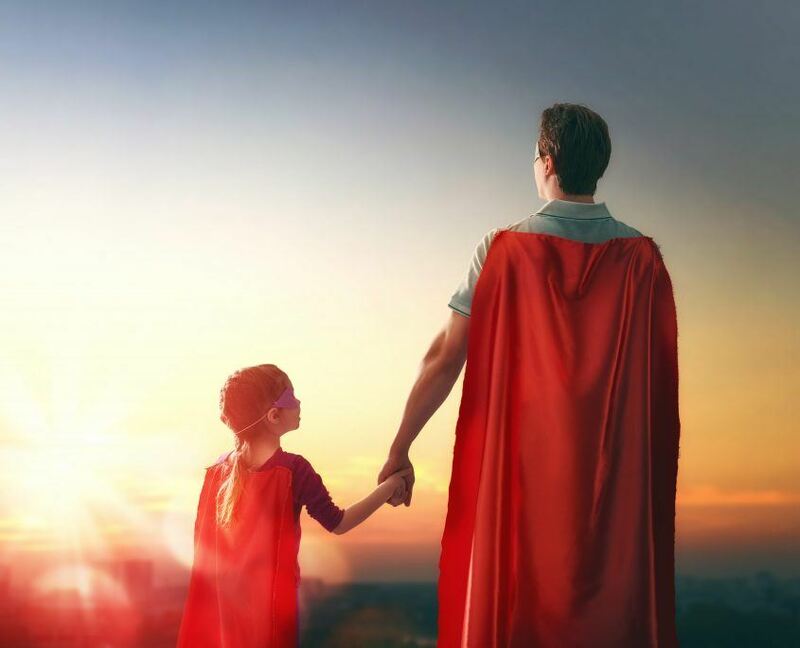 If you look up the definition of hero, you’ll see one described as a person “admired or idealized for courage, outstanding achievements, or noble qualities.” (If the definition describes one as a submarine sandwich, you’re looking at the wrong hero). And with that definition in mind, it’s easy to see why most people unanimously agree that nurses are heroes. But when you hear the word “superhero”, you probably don’t think of nurses first. You probably think of superpowered beings in tights fighting villains and aliens on the big screen or in comic books. But once you meet nurse Tobin Matthew, that all may change. 12 years ago, Tobin graduated from nursing school and went to work at Chicago’s Ann and Robert H. Lurie Children’s Hospital, where he called his job of caring for infants and small children “the best job in the world”. On his very first day, Tobin wore a superhero t-shirt during his shift, not knowing that he’d just begun a 12-year tradition that would one day attract a national spotlight. Since then, his costumes have ranged from Superman to the Hulk to the Ninja Turtles. And on holidays such as Halloween and Christmas, when being in a hospital is especially difficult for kids, he’ll make up to five wardrobe changes to bring as much light as possible to his young patients. He’s raced down halls as the Flash, hung upside down as Spider-man, and there’s no telling where his heart or creativity will take him next. So a big thanks to Tobin and the many other nurses out there like him who daily go above and beyond for the people in their care. 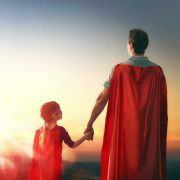 You may not be in tights and a cape, but you qualify as superheroes in our book. (Besides, scrubs look a lot more comfortable). If you’d like information on starting your own career in health care, contact Unitek College today for information on our many nursing and medical assistant programs. Given the right information, science can often predict to the day when a new baby will arrive. But then there are those babies who couldn’t care less about due dates, and when they decide it’s time… then it’s time. 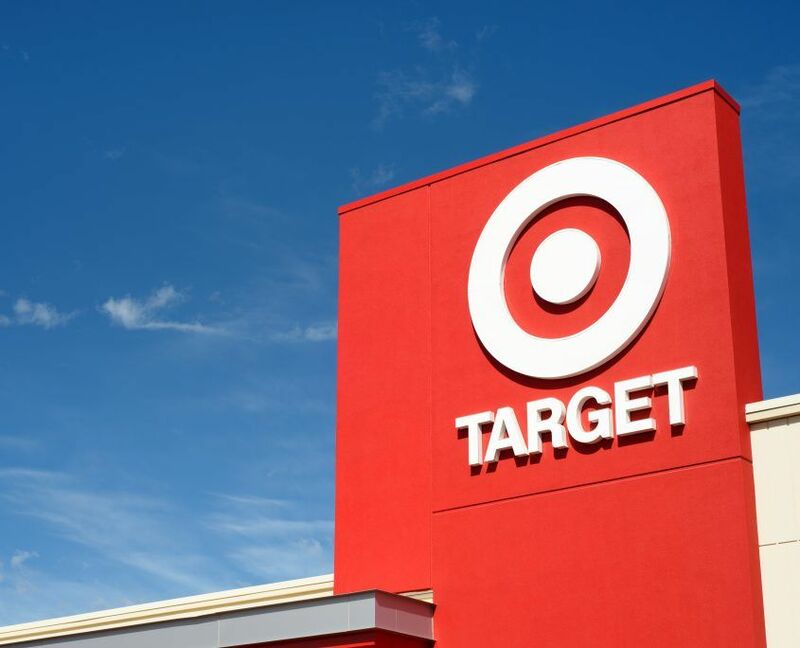 Such was the case for Tanya St. Preux, an Atlanta woman who had just decided to make a quick stop at a nearby Target store. As she moved through the aisles, she began feeling her contractions increase in frequency and intensity. She discounted the discomfort and pain at first, deciding to finish her shopping trip before getting checked out by her doctor. But as Tanya quickly realized, the contractions weren’t going away, and labor was about to begin. Tanya’s situation could have quickly become a nightmare were it not for Caris Lockwood, a local labor and delivery nurse who just happened to be shopping with her mom at the same store that day. Lisa Bozeman (Caris’s mother) was the first to spot Tanya, and quickly noticed that the pregnant woman was in pain. Caris was soon called over, and that’s when things kicked into high gear. With the hospital no longer an option, Caris took over. 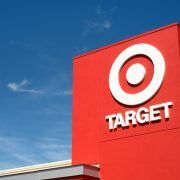 As they still outside the entrance to Target, she was able to quickly gather everything she needed—towels and sterile gloves. Moments later, she delivered a healthy 7 pound, 10 ounce baby boy. “Caris was God-sent and amazing. She was sweet and caring and exceeded everyone’s expectations. She went way over far and beyond,” Tanya told Piedmont Healthcare, the hospital where Caris is employed. Her story (posted to the Piedmont Healthcare Facebook page) has quickly gone viral, with over 8,000 likes and nearly 500 shares. Among the many comments were dozens from former patients, all praising Caris for her heroism and recounting the ways she’d helped them as a labor and delivery nurse. So a big congratulations to Tanya on the birth of a healthy son, and a big thank you to Caris Lockwood (and the two nurses who assisted) for being ready, willing, and able the moment your help was needed. If you’d like information on beginning your own health care training, contact Unitek College today for more details on our many nursing programs and medical assistant programs. The world needs good leaders, and the world of heath care is no different. When you first put on your scrubs and begin your first years of nursing, you’ll more than likely be surrounded by capable leaders—nurses, doctors, and administrators who either by title or seniority have risen to roles of responsibility and will be vital in helping you navigate those extra-complicated days. There’s also a good chance that you will be asked to lead in some capacity at some point in your career—a big honor, but also a big responsibility—and there are a few key points you’ll want to keep in mind to keep you and your team on track. Good Communication – You can have all the positivity, experience, knowledge, and management theory in the world, but if you can’t share those things effectively with your team, they won’t do you much good. 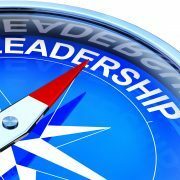 The better you are at communicating (to patients, to other management, and to co-workers), the better you’ll be at leading. And communicating is more than just sharing your thoughts, by the way. Being a good listener is the essential second half of the skill. Not sure if you’re destined to manage or climb the hospital ladder? Keep these tips in mind anyway. In a nutshell? 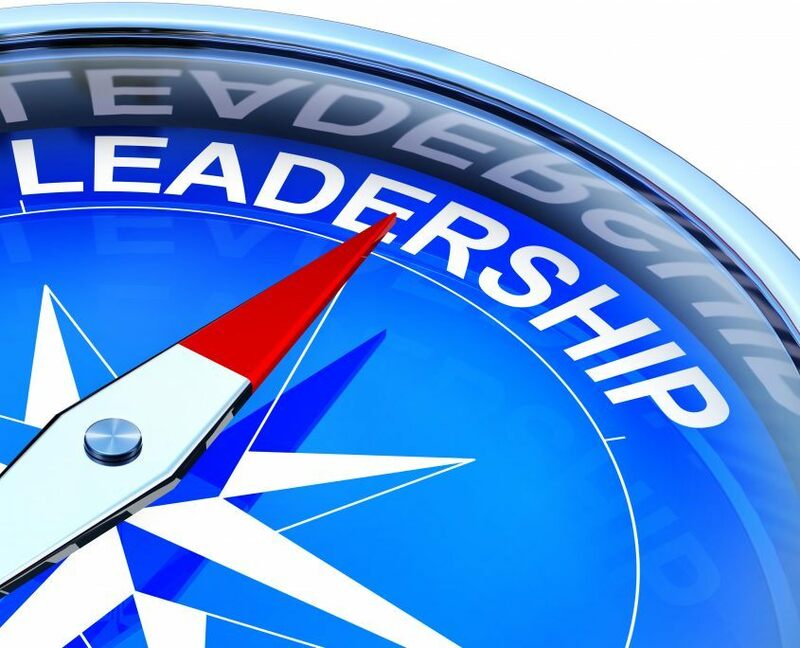 If you care about your patients, care about your co-workers, and are willing to set an example by your own actions, then you’ve got what it takes to lead. For more information on starting a career in health care, contact Unitek College today for information on our many available nursing and medical assistant programs. When you first put on your scrubs and begin your first years of nursing, you’ll more than likely be surrounded by capable leaders—nurses, doctors, and administrators who either by title or seniority have risen to roles of responsibility and will be vital in helping you navigate those extra-complicated days. Looming at the end of every nursing student’s program of study is that final hurtle between “student” and “professional nurse”… the NCLEX exam. 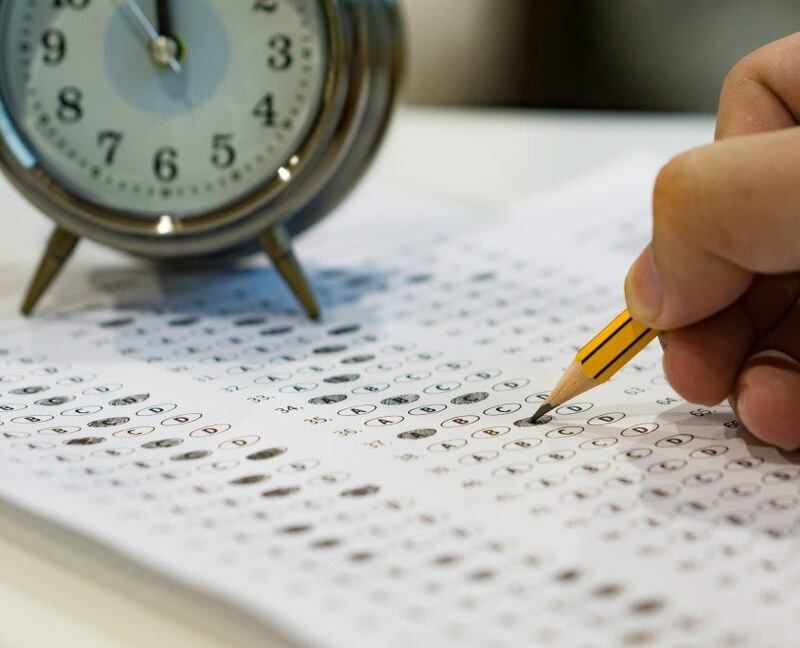 All your hard work in classes, labs, and projects comes down to one final test, so it’s only natural that many test takers feel a little nervous going in. 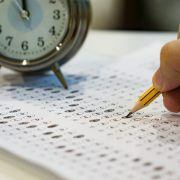 Fortunately, anyone preparing to take the test in the near future already has something big in their favor—they aren’t the first to take the test. Thousands have taken (and passed) the exam, and many have shared tips from their experience to help those following behind. Here are a few we’ve found to help you excel at that final certification and achieve that goal of becoming a nurse. Know What You’re Getting Into – It’s natural to worry about a test like the NCLEX, but the more you know about the exam and exam requirements ahead of time, the more you can concentrate on actually taking the test (and remembering everything you studied). Check out https://www.ncsbn.org/nclex.htm early for a good idea of what’s ahead. Practice, Practice, Practice – The best way to prepare for what’s ahead is to actually experience what’s ahead, and there are plenty of practice tests available to help you do just that. Take advantage of the NCSBN’s practice exams to give yourself a head start on exam day. Get A Good Night’s Sleep – Resist the urge to stay up cramming the night before the test, and instead focus on getting seven to eight hours of sleep. Not only will the sleep be of greater benefit, but the cramming? Turns out it doesn’t work. Pick Up A Good Book – You can find a thorough and descriptive list here of books written to help nursing students prepare for the NCLEX. Look For The Logical Choices – There’s a great strategy guide available here to help you navigate the many multiple choice answers and use logic to narrow down the correct one. One recurring theme in the guide is to pay close attention to the wording of each question. For example, if a question uses absolute words like always, never, none, only, etc, pay extra attention to those answers. Just because an answer might apply to most situations, it doesn’t always mean all. And while everyone wants to pass on the first try, keep in mind that not everybody does. Plenty of nurses failed their first tests only to pass later on and enjoy successful careers in health care. In California, failing the test simply means you must wait 45 days before trying again, and there’s no limitation to how many times you try. So if the first one doesn’t work out, use that waiting period to study for the second. You’ve worked hard to get this far, and your nursing career is waiting just a few correct answers away. Could A Cruise Ship Be Your Next Nursing Job? Most people (with the exception of sailors and entertainers) don’t think “full-time job” when they hear the words “cruise ship”. Most of us think of a cruise as a getaway, our chance to leave work and worries behind for an all-inclusive, buffet-filled vacation at sea. 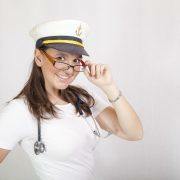 But running a cruise ship takes a lot of manpower behind the scenes, especially when it comes to heath care. More and more people are taking cruises every year, with the industry continually setting new records for numbers of passengers. In 2016, attendance jumped to a record 24.2 million people who cruised worldwide, and when the number of people grows, the potential for health issues grows as well. Time Magazine compiled a list of some of the significant disease outbreaks aboard cruise ships in the past few years—including the norovirus outbreak on Royal Caribbean that infected over 600, and back to back outbreaks on Princess and Celebrity cruises that sickened over 1500 passengers combined. Passengers can also be injured or infected while exploring ports. And if that’s not enough, the rising and falling seas while onboard (combined with steps, wet surfaces, and alcohol) often lead to slips and falls… especially among elderly passengers. All that to say… a cruise ship may sound like paradise, but they definitely rely heavily on their ship nurses, and if you’re looking for an opportunity to provide health care while traveling, then a cruise line may be one possible fit. In most cases, ship nurses report directly to the ship doctor / physician, and work under the supervision of the lead nurse (also a solid career opportunity). In addition to assisting the ship doctor and lead nurse in a broad range of medical care, ship nurses are also usually the first line of defense when an injury or illness is reported—one reason why many cruise lines prefer to hire nurses with emergency room experience. Interested? Nurse.org offers a few of the pros and cons of the position. In the “positive” column, the website lists the flexibility of short-term contracts, travel, chances to explore international ports, and generally more responsibility than one might find in a traditional nursing position. Under the “negatives” column, they list the stress of multi-month deployments (especially for those with a family), a competitive job market, and a lower than average pay rate… although they also mention that due to the free room and board the job offers, the salaries tend to even out. If you’d like more information on exploring a career in nursing, contact Unitek College today for more information on our multiple nursing and medical assistant programs. https://www.unitekcollege.edu/wp-content/uploads/2017/09/shutterstock_137443715.jpg 851 1200 Karen Herrera https://www.unitekcollege.edu/wp-content/uploads/2017/07/unitek-college-logo-01.svg Karen Herrera2017-09-20 18:32:482018-02-28 16:21:38Could A Cruise Ship Be Your Next Nursing Job?